HAMC International Solutions focus is providing medical and non-medical home care businesses with the tools needed to effectively operate a home care business. This is one of the fastest growing markets in North America and will be for the next 20 years. We provide a time tested and proven template package that is superior to any in the market today. We can equip your business with comprehensive and fully customizable manual, forms & templates that will provide a strong foundation for success in your home care business. HAMC International Solutions has a highly accomplished, uniquely experienced team of qualified home health care managers, nursing case managers and business advisors to bring you the most comprehensive, sought after home health care business forms & templates anywhere. Nationally recognized and nurse-produced. 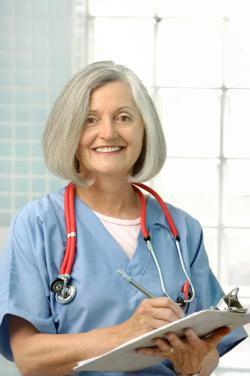 Homecaretemplates.com is the trusted source for home care business forms & templates. When we founded Homecaretemplates.com, our intentions were noble and simple – dispense our collective wisdom gained from over 20 years of home care management experience to help home care businesses start-up or improve. These forms and templates are offered as tools to enable you to better run your business more efficiently with less time spent on administrative tasks, that your time could be better spent actually operating and growing your home care business. Our basic values are: integrity, trust, respect, and professionalism. You, our customers, come first and your satisfaction is the true measure of our success. Today we continue to seek out new ways to make your business and ours better and to go beyond the bounds of other information resources. “We were all very impressed with your home care business materials, and especially the way that you have organized and presented them. Starting a home care business was quick and much easier with your business start up guide, and business plan tools and sample. The forms and templates were of exceptional quality, I can't imagine creating them myself." “I am a start up home care business and was very pleased to have come across your business start up materials. I have looked at other informational home health care business materials but have found your business tools very useful and more professional. I am now able to focus on operating and growing my business."